Orzo (from Latin hordeum, sometimes called Italian rice) is Italian and means “barley”, from which orzo was originally made. However, in common usage in the United States, orzo is understood to mean rice-shaped pasta, slightly smaller than a pine nut. It is frequently used in soups and baked casseroles. 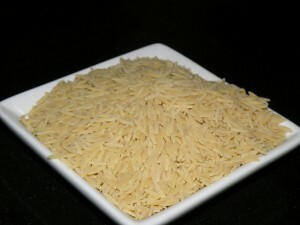 Despite its rice shape, orzo is made not of rice but of hard wheat semolina. It is also known as risone in Italian, manéstra or kritharáki (“little barley”) in Greek, and şehriye (in Turkish). In one sentence it is my new best friend and main dish. 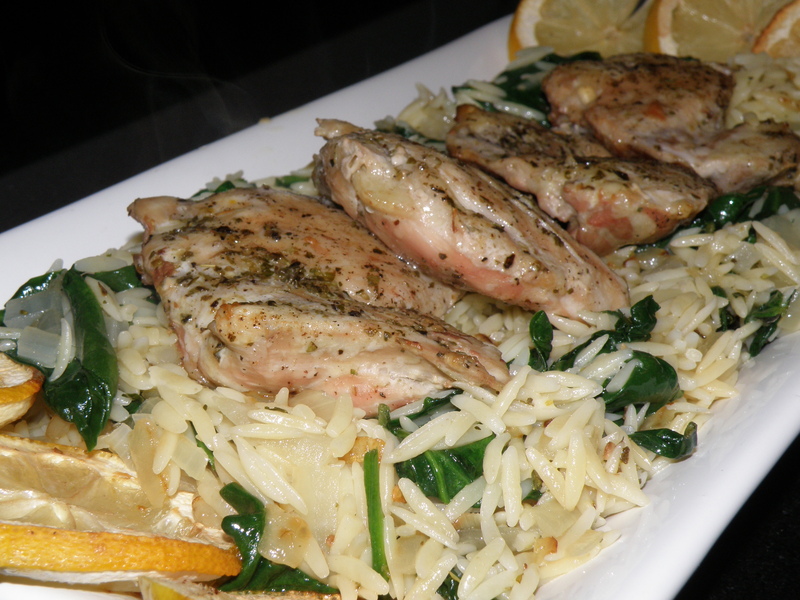 Here is a recipe I made that using fresh spinach with a side of Lemon Greek Chicken Thighs….. In pot bring chicken broth and water to a boil add the orzo and cook for 9 minutes, drained and set aside. While the orzo is cooking in large skillet cook onion and garlic in the olive oil for about 5 minutes. Add basil, oregano, pepper flakes and salt and stir. 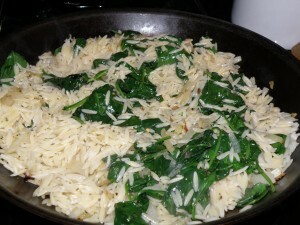 Add cooked orzo and spinach. Cook about 2-3 minutes until the spinach is wilted. Transfer to serving bowl and sprinkle with cheese. Preheat oven to 375 degrees. Season chicken with garlic powder, oregano, salt and pepper. Place in baking dish that has been drizzles with olive oil. 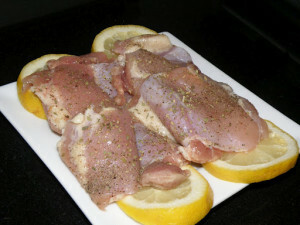 Cut 1 lemon into slices and arrange with the chicken thighs. Cut other lemon and squeeze over chicken. Bake for 30-45 minutes or until cooked and browned.